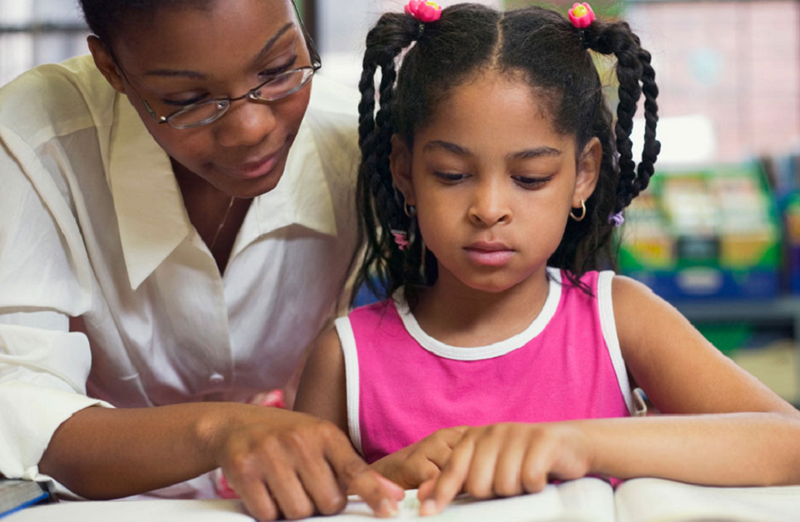 Arizona educators said in a recent survey that school leaders earned a B for creating trusting, supportive environments and addressing teacher concerns, but gave them an F for class size, and use of teachers’ time to plan, collaborate and eliminate barriers to instruction. 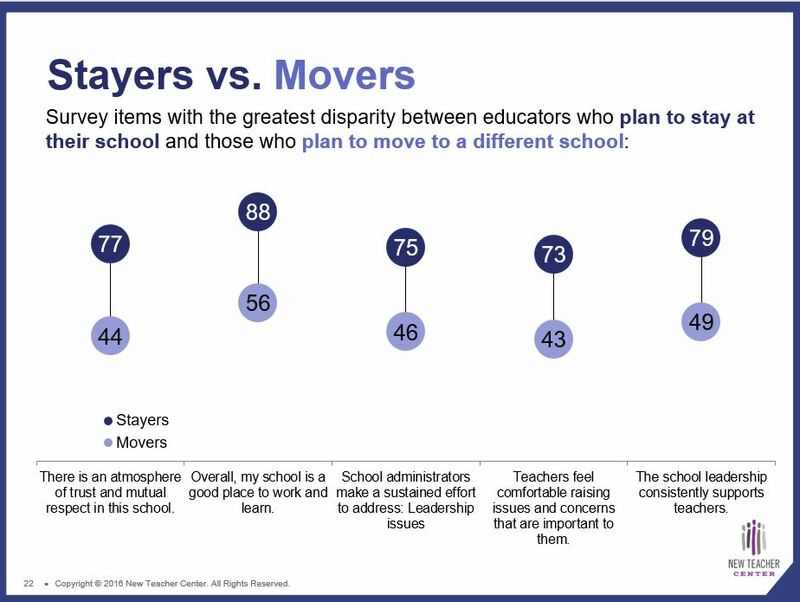 School leadership and use of time were the two most important conditions that factor into educators’ decisions whether to continue teaching at their schools, according to results from the 2017 Teaching, Empowering, Leading and Learning (TELL) survey. 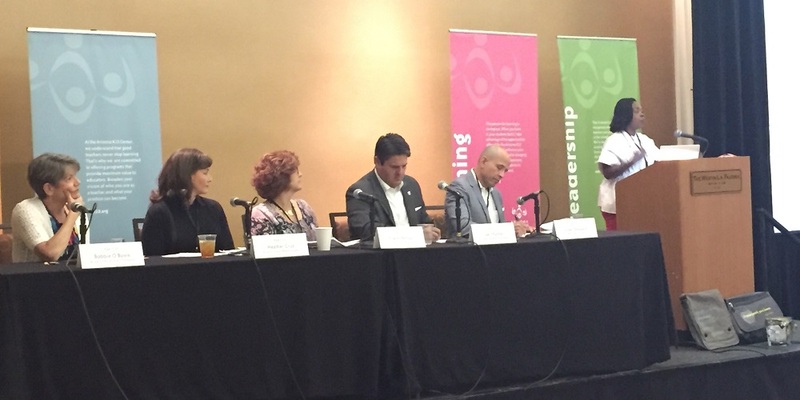 The results of the statewide survey, which was administered this spring and open to every public school district teacher in the state, were revealed this morning at the Arizona K12 Center’s 12th Annual Teacher Leadership Institute in Tucson. Survey results became available today at noon and can be viewed at the state, district and individual school level on www.TELLArizona.org. The survey had a 31 percent response rate. “The TELL survey results serve mostly to validate what most of us who serve the education community already know: Far too many teachers feel undervalued, and leadership at schools matters greatly,” said Bobbie O’Boyle, executive director of Arizona Educational Foundation. 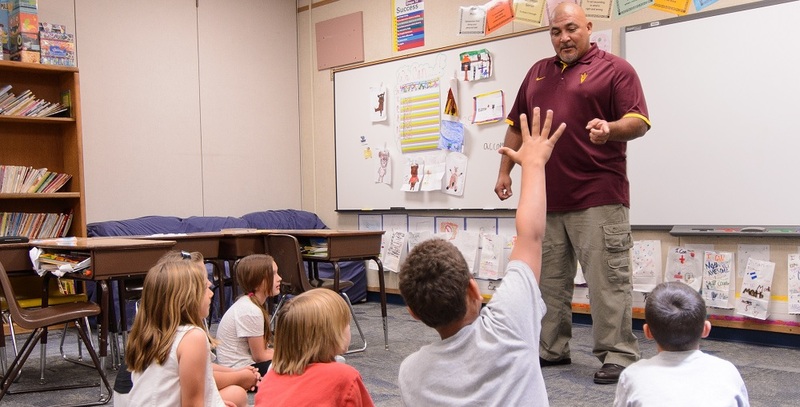 The TELL survey was the first in a series of educator surveys over several years sponsored by the Arizona K12 Center, Arizona Education Association, Arizona Educational Foundation, Arizona Association of School Business Officials and the Arizona School Boards Association. 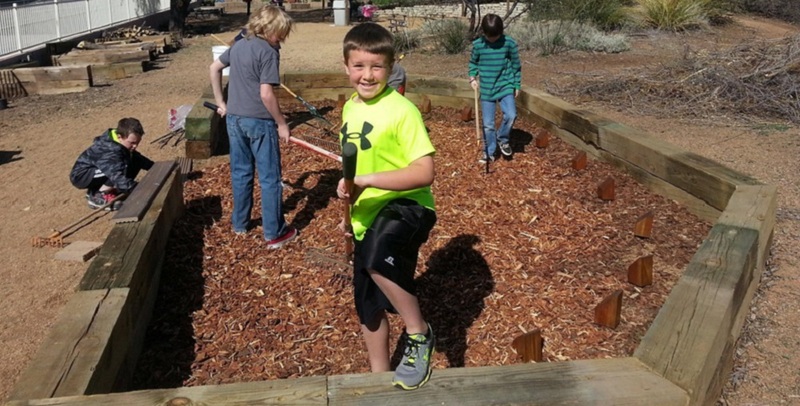 “It was important for us to be one of the organizations that provided funding for this survey,” said Tracey Benson, associate executive director for Arizona School Boards Association. About 15,048 teachers, 585 other staff, 178 principals and 114 assistant principals responded to the survey. “The results of the TELL survey are intended to help school leaders ensure every educator has the supportive environment necessary to help students achieve at the highest levels by providing them with data and tools aimed at improving student achievement and teacher retention,” said Dawn Shephard, program director of the Teaching Empowering Leading and Learning Initiative at the New Teacher Center, which developed and coordinated the survey. The survey results are important for state policymakers and district decision makers because they provide information about teachers’ working conditions and “the supports present or absent that help them to do their jobs well,” Shephard said. 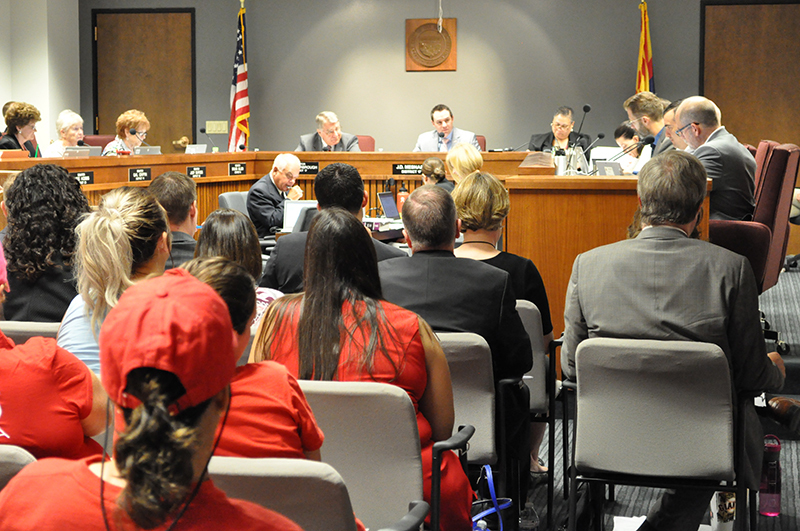 “Teacher working conditions are student learning conditions,” said Joe Thomas, president of Arizona Education Association. “Only 72 percent of respondents felt there was an atmosphere of trust and mutual respect at their school, only 59 percent of teachers felt they had an appropriate level of influence on decision-making at the school, and only 68 percent of faculty said there was a process in place for making group decisions to solve problems,” O’Boyle said. Another issue that stood out was use of time, O’Boyle said. 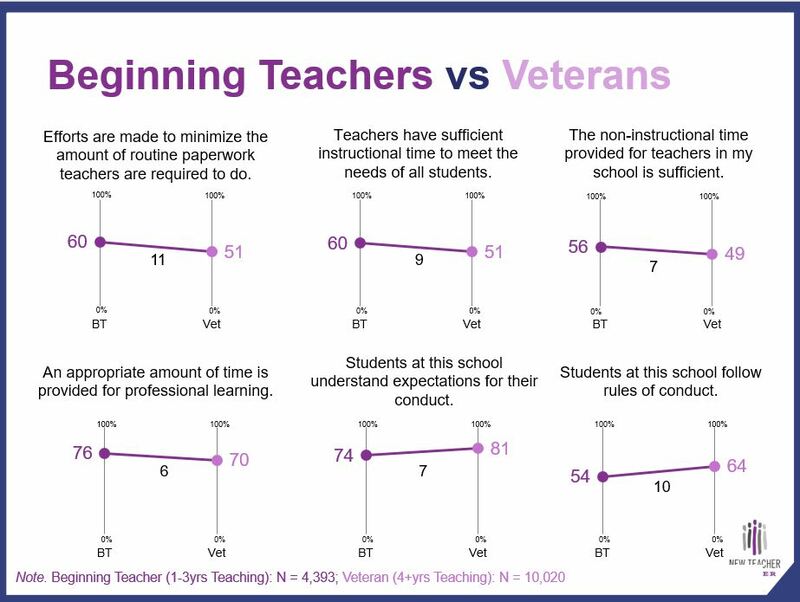 The survey also showed that teachers feel that they are being assessed objectively, procedures for teacher evaluation are consistent, they receive feedback that can help improve their teaching and their school uses data to improve student learning, Dr. Cruz said. A few years later, the new standards were developed and implemented in the classroom, Cruz said. “We have made significant strides in changing the dialogue and the practice to be more student-centered and more about learning and less about teaching,” Cruz said. Chart courtesy TELL 2017 survey. So much of recent discussion about valuing teachers has focused on increasing salaries for teachers, Benson said. Teacher compensation is important, “but it is just as important that teachers be trusted, valued and respected so that they can fulfill their responsibilities as professionals,” O’Boyle said. “School districts need the funding capacity from the state to hire more teachers so that class sizes will be smaller, teachers will have the time to address the needs of individual students, and teachers won’t be pulled away from their essential role of educating students to perform other duties that reductions to funding have pushed onto them,” Benson said.